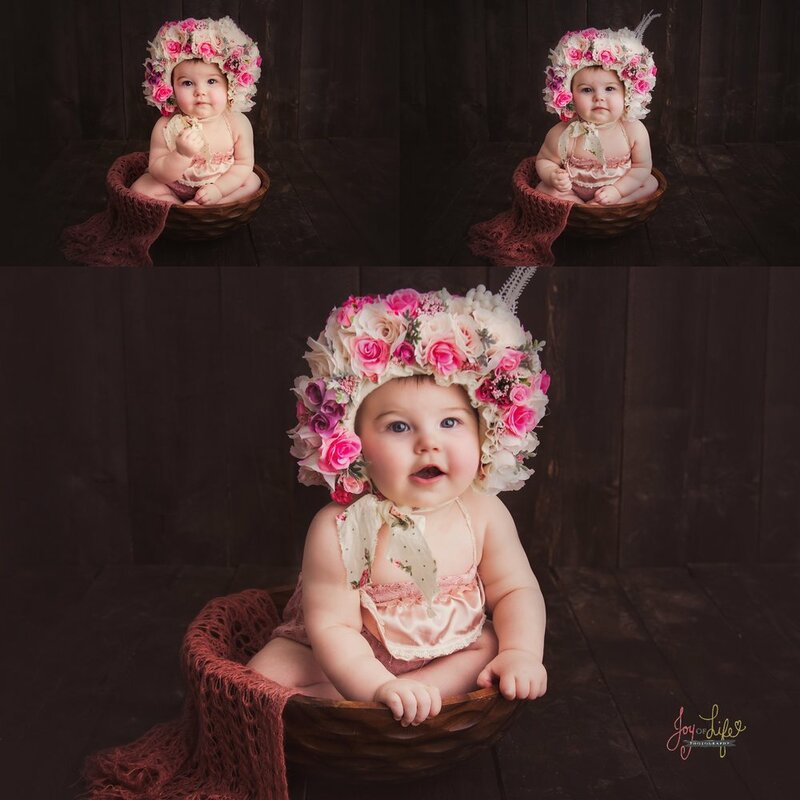 I've been wanting to start offering 6 month milestone sessions (called sitter sessions), so when I got some amazing new props ordered I did a model call and this beautiful baby girl came in to help me with some sample shots. I LOVE sitter sessions. 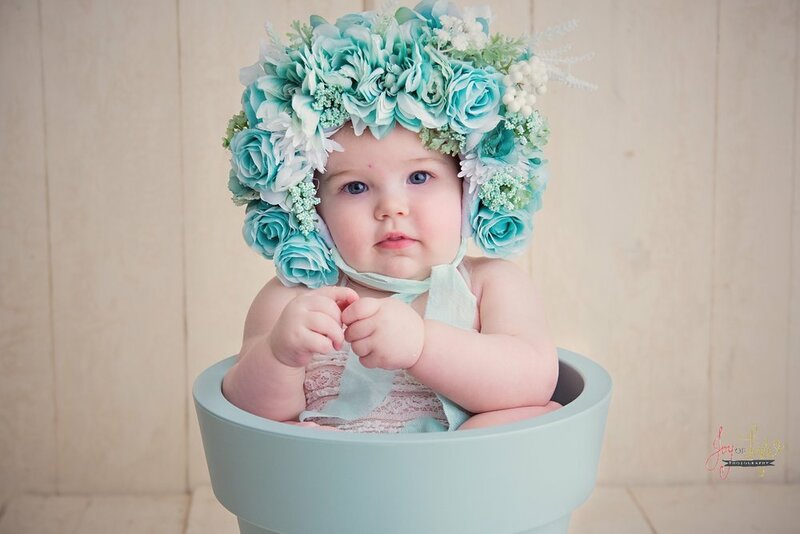 Babies are at such an amazing stage at this age. Sitting up, smiling, interacting, but not really able to crawl away yet...lol. 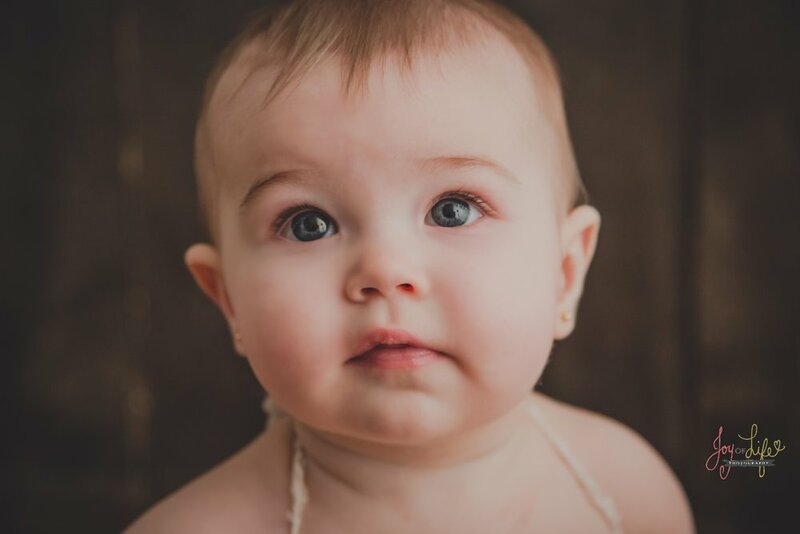 If you're interested in booking a sitter milestone session please get in touch, I'd love to work with you! I would have to say that this session ranks fairly high on my list of all-time favourite sessions. 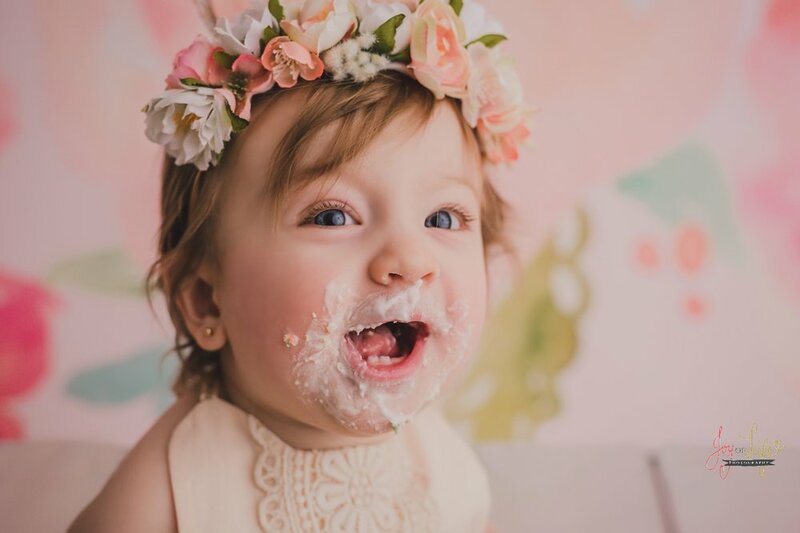 Caprice came to see me as a newborn and was basically an angel for her whole session, and this session was no different. And what possible reason could this girl have for being unhappy? She arrived with her adoring entourage of Mommy, Grandma, and Auntie in tow. 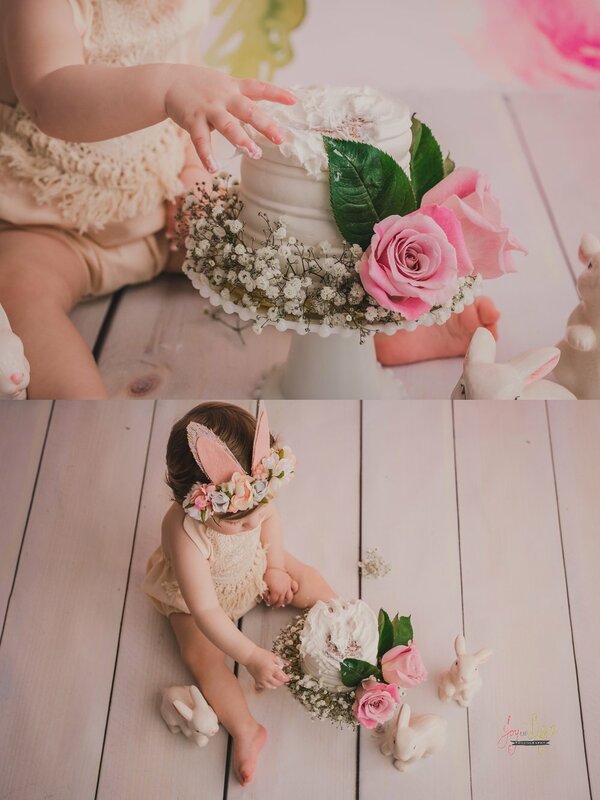 Her Aunt made her the most beautifully simple, elegant cake (and I'm guessing it was delicious too!) and her mom brought matching mother daughter outfits and adorable props. 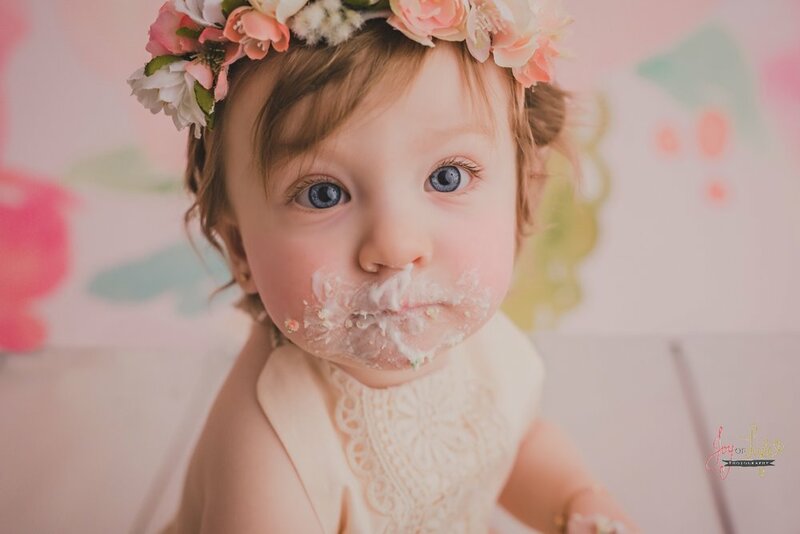 In fact, I really can't take credit for much of the styling of this session at all, the credit for that all goes to her mom's amazing taste :) We had a great time taking some mother/daughter shots and then turning Caprice loose to try her first ever cake...I think it's safe to say it went over well.